NEWS FLASH! The BEATLES have arrived! Come in and check out our exciting selection of Stern PinGames ! Before I moved into my current location, I had a 1500 sq.ft. storefront in uptown Maumee. Anyway, in 2004, I sold a New-In-The-Box Stern Monopoly Pingame to a customer named Jeff. That was a thrill then and it is now. He’s moving. I now have the responsibility to find a loving family who will truly appreciate this Pat Lawlor Home-Use-Only (HUO) pingame that has only a few hundred plays. Just in! hope to get some pictures up real soon. For those who’s been regular visitors to this website, I want to apologize that the “quick list” hasn’t worked properly for years. I finally figured out how to work the code. It isn’t complete, yet, but I’m working on it! If you can, I still recommend that you come and visit the Pinball Store. You really can’t judge a machine by pictures. Come in, play a few games, narrow your choices to a few machines that might jump out at you, and play play them. Play several times. You can’t judge a machine by playing only one game. What do you like? What don’t you like? It’s kind of like shopping for a car, or a suit. Some might be happy with the first one they try. Others might get overwhelmed by all the choices. I recommend finding the one that makes you happy and feels just right! Wowie-Zowie! I just realized that this adventure started on July 1st, 1993. I’ve been doing this for 25 YEARS! The passion we have for Pinball is amazing! What started out as a hobby with a game or two, more projects found their way into the basement and garage. Humble beginnings of “Dr. 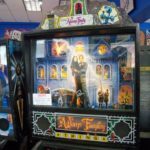 Scott’s” Pinball in Maumee, Ohio, started in a 400 sq.ft. heated double storage unit on Sophia St. in 1993. The dream became true when I moved into a 1500 sq.ft. storefront in the Uptown Business district in 1995. In 2005 we moved into our current location became and the dream became even bigger! 5500 sq.ft. 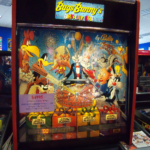 with over 60 pinball games set up, dozens of vintage video games, plus slot machines, bowling machines, foosball, neons, megatouch, candy vendors, etc., etc.! This is one amazing store. 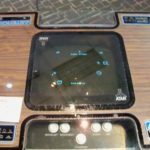 The one thing we are NOT is an arcade. 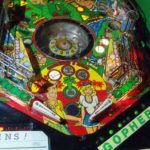 If someone is going to pay serious coin for a new or a beautifully restored vintage coin operated game, they want it to be pristine and not abused by some kid with gooey fingers. The other situation is that this facility is NOT a kid friendly location. There are “boobie traps” throughout the building as we work on projects where ever they might be. For their safety, little kids must be kept under control at all times! Most of the 20+ years we’ve been in business, Ron or I have been seminar speakers at Pinball Expo. In fact, I attended Expo #1 in 1985, and I’ve got the T-shirt to prove it. For me, the highlight of Expo is the autograph session Saturday afternoon. Every year we’ll take pieces or parts of games to be signed. We get to meet & greet the artists & designers. Over the years, they get to know us and we’ve got to know them. We don’t charge anything extra for an autographed game. We think it’s really neat and fun to do. Payment plan: A ⅓ down will hold a game for you. Another payment of a ⅓ on a month or so and the final payment upon delivery or pick up. Unfortunately, Loan Shark companies that offer “12 months same as cash” financing, only do so with new merchandise, plus it’s not worth the hassle. We’ve also tried our own version of “rent to own” with disastrous results!